The Restricted Motorcycle (RE) Licence is a mandatory 1 day Q-Ride competency based training and assessment program. 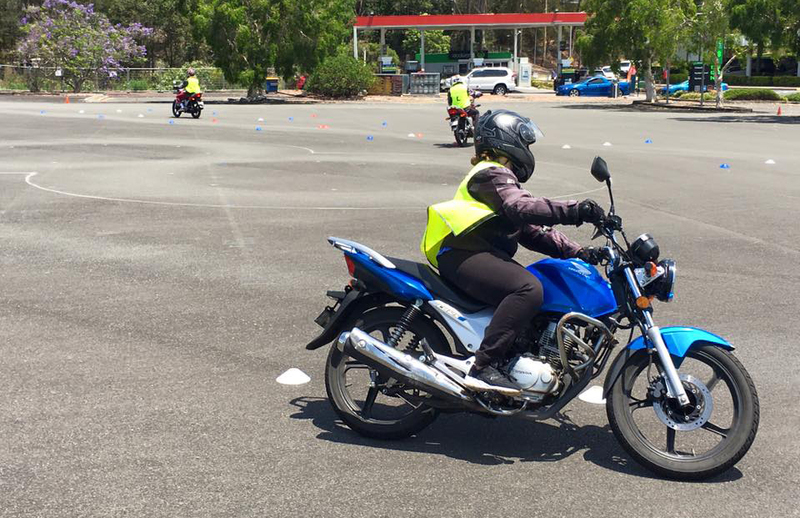 Students need to complete the Restricted Motorcycle (RE L) Licence to be eligible to upgrade from a Motorcycle Learners (RE L) Licence to a Restricted (RE) Motorcycle Licence. To be eligible for this course you are required to have your Motorbike Learners (RE L) Licence for 3 months, unless you have obtained your learners licence prior to October 2016; in which case you are eligible to book this course anytime. This course is up to 8 hours and you must have some experience and be riding a manual motorcycle regularly in mainstream traffic conditions and be confident with cornering, low speed clutch, gears and braking control. The course is a mix between off-road and on-road activities. Some students may benefit from having a 1.5 hour refresher training course before completing the Q-Ride assessment. Extra fees will apply if you should require additional training to reach competency. This course is up to 8 hours and you must have some experience, be riding a manual motorcycle regularly in mainstream traffic conditions and be confident with cornering, low speed clutch, gears and breaking control. Some student may also benefit from having our 1.5 hour refresher training course before completing the Q-Ride assessment. Once you have successfully completed the course and are deemed competent, your competency declaration will be processed online and you will be able to apply for your Restricted (RE O) licence online or, you can apply in person at the Department of Transport. All of our prices include motorcycle and protective gear (jacket, gloves and helmet) hire.